If you grew up consuming cow milk, you may have considered a cow when you decided to start producing your own dairy products. But there are plenty of reasons why goats are a better option for most people in modern society. Goats are easier to handle simply because they are smaller than cows. If you did not grow up on a farm, where you got used to handling cattle, goats will be less intimidating. 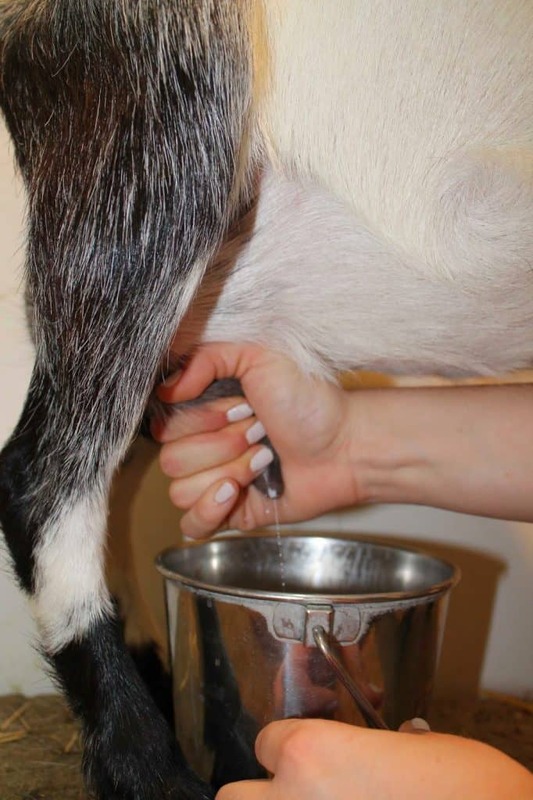 It can be almost impossible to find a trained milk cow to purchase, but training a goat is not as difficult or as potentially dangerous for the novice as training a cow that has never been milked. 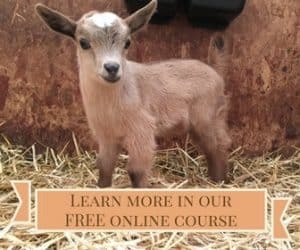 It is also less expensive to get started with goats because they do not require the heavy-duty handling equipment needed for safe handling of cattle. That soft creamy cheese that so many people call “goat cheese” is more correctly called chèvre (pronounced like “shev”), and it is possible to make many types of cheese and other dairy products from goat milk. The first cheese I made was queso blanco, and it was quickly followed by chèvre, yogurt, kefir, and queso fresco. A few months after starting to make cheese, I began to make goat milk soap. Eventually we started making aged cheeses, and for the past few years, we have made 100 percent of the cheese that our family uses, including cheddar, mozzarella, parmesan, gouda, Havarti, and more. 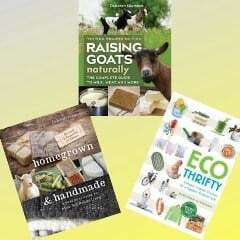 This is an excerpt from Raising Goats Naturally: The Complete Guide to Milk, Meat, and More by Deborah Niemann. I have jersey's, when I bought them they had no training whatsoever as family cows. I did not find it difficult at all to train them to handmilk. Other than a halter,I'm not sure what expensive handling equipment you are referring to? And though a cow might prefer another cow "companion", it is not necessary. I raise pigs and chickens as well, so I never have a problem with excess milk. Milk can also be used as pasture/garden fertilizer. Again, it's a matter of opinion. Sounds like you got very lucky with your cows. If it were only a matter of preference, I would still have cows. Like you, I used to think that cows were easy to milk because I had periodically milked a Jersey standing in the middle of the pasture when I was 13 years old. Unfortunately, many cows do not have the personality to do that. And if you ever have any challenging health situations or have a calf that is not quite so friendly, you will need things like a squeeze chute, which are big and expensive. Most cows need a head gate for milking, which is also pretty expensive. Even with all the right equipment, some cows don't like to be milked, and they can kick sideways and break a bone if they hit you just right, which almost happened to my daughter with one of our Irish Dexters. Thankfully, she just had one whopper of a bruise and limped around for a few days. I was raised in a farm and had both cows and goats, I milked cows on and off, I have never milked a goat. I started homesteading this year http://myhomesteading.blogspot.com/2014/12/the-beggining.html I have thought of adding a goat or two when I get more stable and plan a little more. Since I have limited space a goat will be more suitable than a cow, thankfully your article just gave me more reason to get some goats in the future. I will definitely be coming back here for more information and hopefully help.